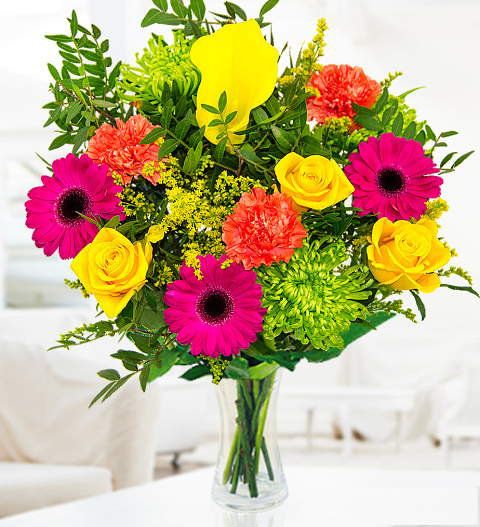 Our florists have put together the perfect bouquet to brighten anyone's day! By combining germinis, yellow roses, carnations, shamrock blooms, pistagia, and one superb calla lily, you get a stunning contrast of colours and textures. Germinis are associated with joy while carnations also known to convey affection. The symbolism of these flowers and their beauty is what makes them great for any occasion!